Fundraiser by Terez Amato Lindsey : Bernie's Fire Straight to Philly! Bernie's Fire Straight to Philly! The Revolution Isn't Over! We're taking this Berning fire all the way to PA! Bernie's revolution has inspired millions across the country and the flames are still being fanned. He's a man after my own heart and it's been an honor to volunteer for his campaign—and he's not done yet! Even in the face of blatant voter disenfranchisement, He fights on! For that reason, so will I! 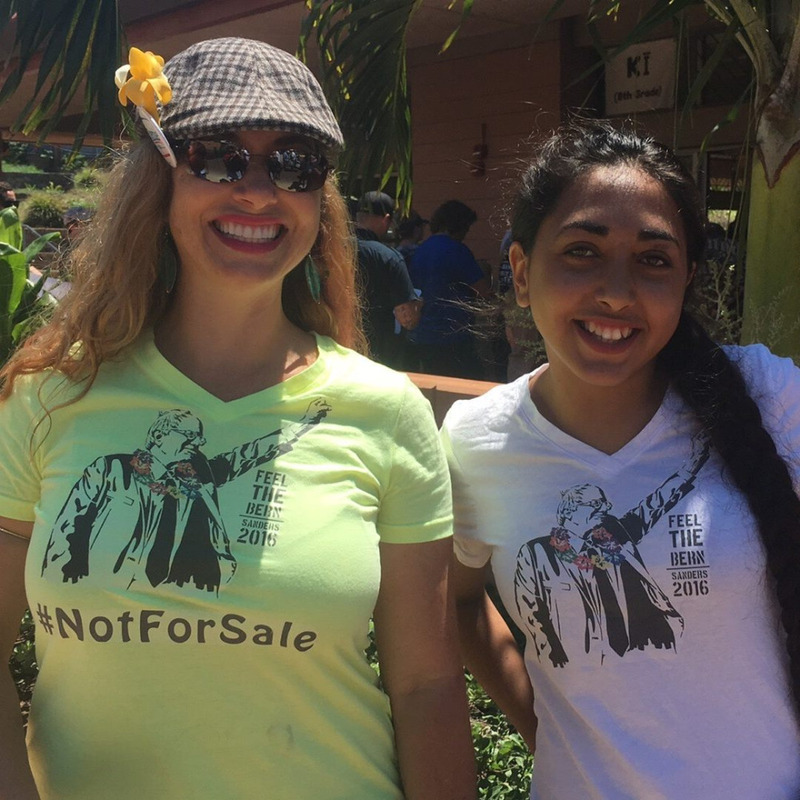 Like Bernie, I refused corporate and lobbyist money when I ran for Hawaii State Senate in 2014. We don't need corporate control, we need grassroots people power that represents ALL of the people. We need a campaign finance revolution! That is why I support Bernie Sanders and I promise to support him every with every single vote in Philly! For that reason, I'm honored to have been chosen to serve as a National Delegate for Bernie Sanders in Philadephia this July! I am pumped up and ready to go! 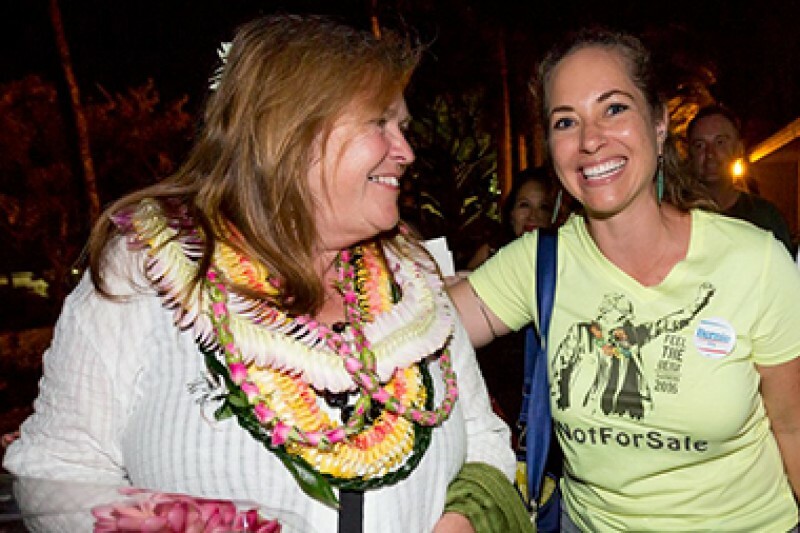 But traveling from Hawai'i and across the country to stand up for our rights will be no small endeavor. The Bernie campaign has estimated that this trip may cost upwards of $5,000. Will you please help offset a part of the trip? Every little bit helps and all money raised will be used to directly cover the expenses of the trip from airfare, ground transportation, and lodging to supplies necessary to help bring on the floor convention activity to Facebook, Twitter, and Periscope audiences. Bernie won't bail on us, so I'm not going to bail on Bernie! We're in this until the revolution is realized. With utmost gratitude and appreciation, I'll see you in Philly! Please sign this petition in solidarity in the #FightFor15! Mahalo! "I stand in solidarity with the Airport workers in the City of Philadelphia and aboard in the fight for $15! Strike on, brothers and sisters, and hold the line!" "We, the undersigned delegates to the Democratic National Convention and registered Democrats, support the airport workers at Philadelphia International Airport seeking a $15 living wage, better scheduling, clarity on sick pay, a more predictable disciplinary system, and the right to unionize without intimidation from employers. The Democratic Party has historically supported and promoted the right of workers to unionize, to make a living wage and to seek better working conditions. Furthermore, the draft platform of the Democratic National Convention supports a $15 minimum wage for all workers in the United States. We call on the City of Philadelphia, subcontractors and American Airlines to reach an agreement with airport workers at Philadelphia International Airport seeking better working conditions and a fair, living wage of $15 and hour prior to the start of the Democratic National Convention July 25 - 28, 2016. Should an agreement not be reached, we support the workers in their right to strike." So much has been going on over this past month! Thank you to each and every one of you who have donated and shared my link. It's been a crazy roller coaster of a week! I'll just be honest and admit that, like many others, Tuesday's news left me stunned and at a loss for words—briefly. But there's one thing we must understand. This has never been about just one man! This is about a broader, long-term goal. This election is about Bernie, you, and me. It's about US—together! There is important work to be done and now is not the time to lose faith or give up hope! There will be important issues brought to the floor that we must fight for. We must not let old establishment politics hang us up like paper tigers. I'm not made of paper, are you? I'm ready to fight in Philly for what is good and for what is right! I'm ready to fight in Philly for you, our friends, our families and our futures. Please do not lose faith. Please take heart. We are not done! Our task is not over! Please help me cover the expense of lodging and transportation in any way you can so that we can make our voices heard in resounding unity. #NotMeUS! Please help by sharing or donating this fundraiser. No donation is too small and will be put directly towards offsetting the cost of this historic event. Volunteering for Bernie w/my daughter. Go for it! So proud of you!